Who invented Coca Cola? The name of the person credited with inventing Coca Cola is John S. Pemberton (1831 - 1888). John S. Pemberton is not only famous as the American inventor of Coca Cola but also as a pharmacist and businessman. When was Coca Cola invented? John S. Pemberton invented Coca Cola in 1885, during the Second US Industrial Revolution / Victorian period of invention (1850 - 1914). The invention of Coca Cola originated in America and continues to be one of the world's most popular soft drinks. Definition of Coca Cola: Coca Cola is defined as a non-alcoholic, carbonated soft drink produced by The Coca-Cola Company, colored usually with caramel and flavored with extracts from kola nuts and sweeteners. Fact 1: Who invented Coca Cola? The soft drink Coca Cola was invented by John S. Pemberton in 1885 during the Second US Industrial Revolution era of inventions (1850 - 1914). The British inventor of Soda was Joseph Priestley who invented the effervescent (fizzy) water in 1767. Fact 2: Who invented Coca Cola? The inventor of Coca Cola, John S. Pemberton, was born on July 8, 1831 in Crawford County, Pemberton, Georgia, United States and died on August 16, 1888. Fact 3: Who invented Coca Cola? The early years of John Stith Pemberton were spent in Rome, Georgia, United States where he was raised by his family. John S. Pemberton was educated at University of Georgia. Fact 4: Who invented Coca Cola? Following his education John S. Pemberton became a physician and chemist and settled in Atlanta, Georgia where he became a respected businessman and member of the community. John S. Pemberton was also licensed to practice on the alternative system of medicine known as "Thomsonian Medicine" that relied heavily on herbal remedies. Pemberton used his attributes as a chemist to establish a pharmaceuticals company. Fact 5: Who invented Coca Cola? In 1855 John S. Pemberton established a wholesale-retail drug company that specialized in materia medica (therapeutic properties of any substance used for healing). The Pemberton company successfully manufactured large quantities of his own brands of pharmaceuticals. Fact 6: Who invented Coca Cola? The American Civil War (1861 - 1865) erupted and John S. Pemberton served as a Confederate States of America lieutenant colonel in the Third Georgia Cavalry Battalion. Fact 7: Who invented Coca Cola? Following the Civil War Dr. Pemberton served on the first Georgia pharmacy licensing board after the war and established a laboratory for chemical analysis and manufacturing. The laboratory became the first state-run facility to conduct tests of soil and crop chemicals. Fact 8: Who invented Coca Cola? John S. Pemberton also carried on with his own pharmaceutical company. A popular brand of Pemberton's Eagle Drug and Chemical House, sold as a nerve tonic, stimulant and headache remedy, was called 'Pemberton's French Wine Coca'. Fact 9: Who invented Coca Cola? In 1863 Angelo Mariani, a French chemist, had created 'Tonique Mariani' a tonic and patent medicine that contained Coca leaf extract. The tonic wine was imported to America containing 7.2 mg of cocaine per fluid ounce of wine. Fact 10: Who invented Coca Cola? The original recipe of 'Pemberton's French Wine Coca' is said to have been based on 'Tonique Mariani'. Pemberton's French Wine Coca contained 'Coca wine', an alcoholic beverage that combined wine with cocaine, together with the stimulant caffeine. Fact 11: Who invented Coca Cola? John Pemberton registered his French Wine Coca nerve tonic in 1885. However this was bad timing for the launch of the product because the following year, 1886, Atlanta and Fulton County passed prohibition legislation banning the sale and manufacturing of liquor. Fact 12: Who invented Coca Cola? John Pemberton responded to the prohibition legislation by developing a new, non-alcoholic version of his popular 'Pemberton's French Wine Coca'. The wine was replaced with carbonated water sweetened with sugar. Fact 13: Who invented Coca Cola? In 1885 Frank M. Robinson, John Pemberton's partner and bookkeeper, suggested the name for the new, non-alcoholic drink and penned the now famous trademark "Coca-Cola" in his unique script. Fact 14: Who invented Coca Cola? 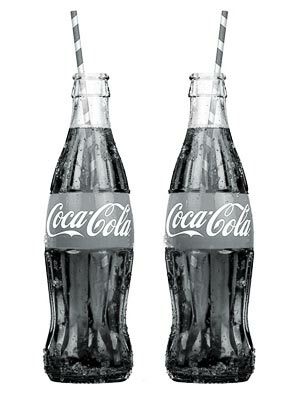 Coca-Cola was named back for its two key ingredients, extract of coca leaves and cola nuts. Coca leaves are obtained from the plant or shrub Erythroxylon coca that is native to the South American the Andes region. The dried leaves of these shrubs contain cocaine and other alkaloids. Cola nuts are the seeds of the cola tree, which contain caffeine and theobromine. (The seeds of the cola tree are still commonly used in the manufacture of many modern soft drinks). Fact 15: Who invented Coca Cola? The first sales of his new, non-alcoholic version were at Jacob's Pharmacy in Atlanta, Georgia on May 8, 1886. It was initially sold at soda fountains in Drug Stores as a patent medicine for five cents a glass. During this era many drug stores had a soda fountain installed in an attempt to create effervescent mineral waters with curative powers. Fact 16: Who invented Coca Cola? John Pemberton never fully appreciated the potential of his Coca Cola and in 1887 sold his cola company to Asa Griggs Candler, (1851-1929), an American businessman who founded the Coca-Cola Company. Fact 17: Who invented Coca Cola? John S. Pemberton died in relative poverty from stomach cancer on August 16, 1888 at the age of 57. He was buried at Linwood Cemetery in Columbus, Georgia. Fact 18: The Coca-Cola Company Asa Griggs Candler was an astute businessman and using aggressive marketing methods went on to make Coca Cola one of the most well known and popular soft drinks of all time. Fact 19: The Coca-Cola Company In 1919 Asa Candler sold The Coca-Cola Company to Ernest Woodruff (1863 - 1944). Who invented Coca Cola? Now you know that John S. Pemberton was the person who invented Coca Cola! We hope that the facts in this article have provided the answers to all of your questions about the invention of Coca Cola and its famous inventor, John S. Pemberton. As a matter of interest Caleb Davis Bradham invented Pepsi in 1893.